Pearson’s Custom Cocktail Ottoman Program enables you to easily design your own ottomans with a variety of styles, sizes and options. Choose from 3 different cushion shapes, 27 different sizes, 3 different upholstery treatments and 5 unique base treatments including carved legs and kick pleat skirts. 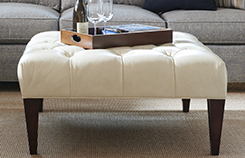 Further customize your ottoman with trims, decorative nails and Pearson Textiles and leathers. 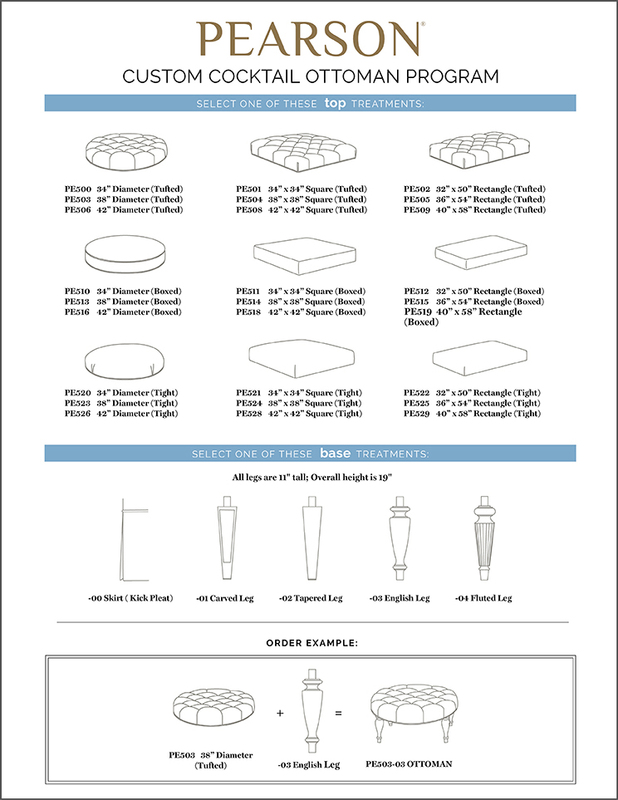 Use the following photographs, drawings and ordering guide to make creating your unique ottoman simple. The endless possibilities are limited only by your imagination.